The CPD series of power amplifiers has become a trusted tool for many gigging musicians, tours and installations since its introduction in 2014. The CPD1600 is part of Wharfedale Pro’s latest line of professional power amplifiers driving earth shaking audio from the front of your venue, all the way to the back. The CPD1000 is part of Wharfedale Pro’s latest line of professional power amplifiers driving earth shaking audio from the front of your venue, all the way to the back. The SX2 range are rugged light weight amplifiers capable of producing quality sound at all power levels. There are three models in the range, all occupy only 2 rack spaces and are forced cooled via a thermally controlled fan. The RX series are a new range of 2U and 3U twin channel power amplifiers delivering up to 4000 watts of power in a reliablle compact yet robust chassis. 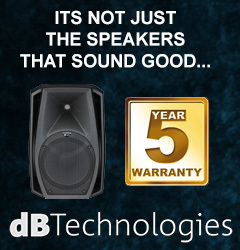 All models have advanced features such as Class H amplification and automatic signal limiting. The DX400 is a robust, one rack space amplifier suitable for the smaller PA system and studio monitoring.